Casio's new Exilim FR10 wrist-mounted camera may be the next big thing for stepping up your selfie game. The wearable-lens camera is like a GoPro for beginners, and while the camera is designed for use on the wrist, it can also be mounted onto a helmet, backpack or just about any remote object that the user can think of. With a proposed MSRP of just under $500, the device features a detachable LCD screen unit and a lens unit that controls all of the camera functions. 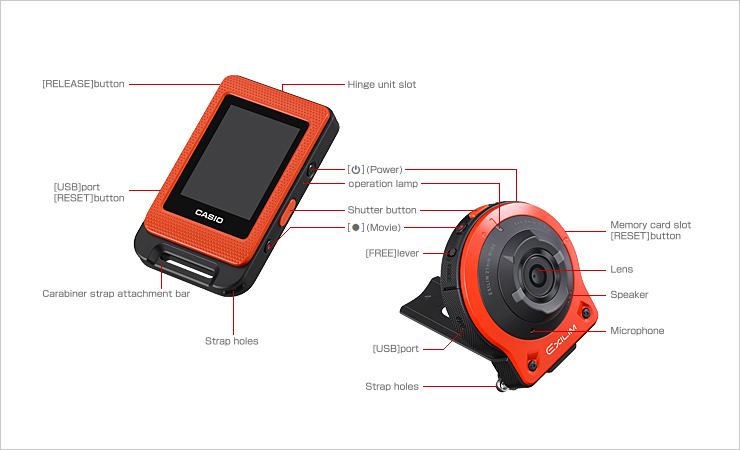 Jin Nakayama, senior general manager of Casio's QV Digital Camera Division, notes that the camera is designed for users to find the best uses for the camera instead of pigeon-holing towards a particular market. “The keyword here is 'freestyle,'” he says, “We want to create a new way of communicating. Whether being used to take simple selfies or to film adrenaline fueled adventures, the Exilim FR10 wearable camera is ready to meet the task at hand with a battery capacity for about one hour of HD video or 255 still-frame photographs. The camera is also splash- and dust-proof for more extreme uses, and will even survive a fall of up to 2 meters. The detachable camera lens may take some time to get used to (especially when using the controller in one hand and the lens in the other), but over time could very well change the face of photography as others roll in on the wearable camera market started by GoPro and now expanded on by Casio.